To begin with this article, I would like dear readers to try a brief quiz. Do you think how much the potted tree (the Image 1) is? If you could guess right on a quiz, you would be an incredibly lucky person. I am sure you will hit the lottery jackpot. The tree’s height is about 105 cm (Approx. 41 in). Probably the height makes you consider it growing. However, look at the thickness of the tree trunk. That of a young tree doesn’t grow so thick. Don’t be surprised! The potted tree is estimated to be about 300-year old. It had been the times shortly before George Washington was born. This may be a big clue. You can easily guess this tree is no ordinary one. Do you want to know the answer as soon as possible? Yes. Again, don’t be surprised! The price is 100 million yen (Approx. $1 million). Mercy! This is beyond description like “Amazing”, “Unbelievable”, or “Crazy”. Why in the world is it so expensive? You can see the picture bellow says 御売約 in red meaning “Sold” in English. So, someone bought it. The majestic tree is even given the name of “Tree of God”. Growing a tree in a pot or tray is called “bonsai”. After reading this article, you also become a maniac of bonsai. Over twenty years ago, published is a book named “The Compact Culture: The Japanese Tradition of “Smaller Is Better”. The book explains Japanese preference that they tend to minimize anything. 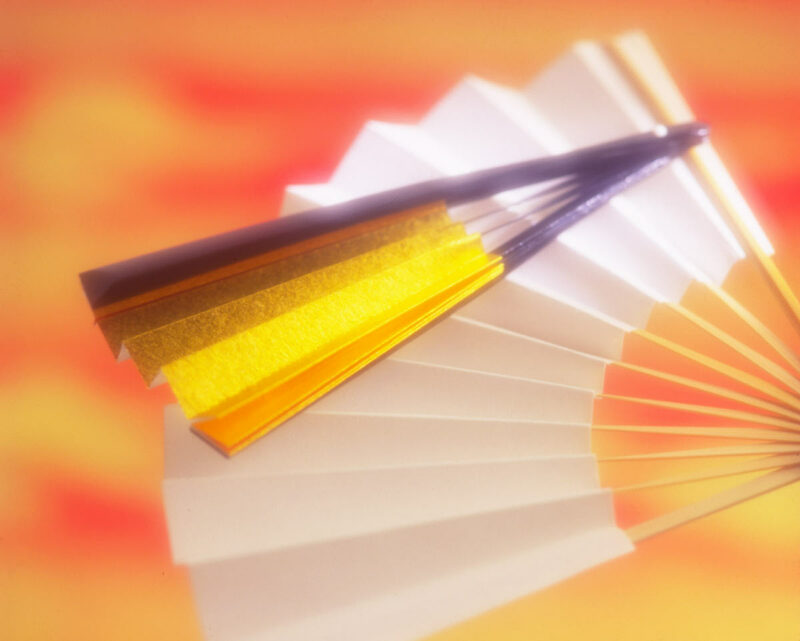 Take a sensu or folded fan for example. Ordinary fans are inconvenient to carry in our hands because they are bulky. And so, by folding a fan, making it compact is realized. 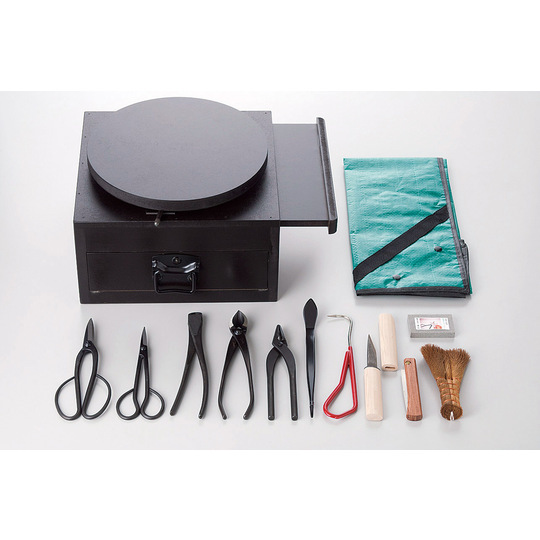 In addition to practical utility, aesthetic aspects are also improved. The Toyota’s compact automobile of the Image 4 incorporating high technology is produced on commercial basis regardless of such a compactness. An artificial satellite named “Hayabusa” weighs only 500 kg (Approx. 1.100 lb.) including a fuel cell. This compact satellite landed on an asteroid and returned to the earth with a capsulated sample. The journey is 6 billion kilometers (Approx. 3.7 billion miles) which is equal to the distance of making 13 runs to the Mars! Copyright (C) 2006 yamataya.com. All Rights Reserved. This shape expresses a tree growing on a cliff. The most important skill is transplanting. A natural tree sets its roots deep in a soil and they can extend in various directions. And decayed roots are naturally biodegraded. However, growing a tree in a tray wouldn’t work that way. Horticultural soil has to be replaced and decaying roots need to be cut on a regular basis. For me, a complete beginner, however, I know nothing about which roots are unnecessary. It is a very skilled job. In addition to pruning overgrown branches, to maintain beautiful branches’ shape, fixing the trunk and branches with wire prevents extra parts of the tree from growing. It is called “shaping”. Transplanting, pruning, and shaping are essential skills as well as time and effort when you try to grow a bonsai. Please look at the Image 6. This tree doesn’t have a twisted mind. It has been grown to be modeled after a natural tree overhanging on a cliff. Mature technique is required to grow a bonsai like that for craftspeople as well as owners. To prune or not to prune, that is the question! A song of “Autumn Leaves” by Yves Montand reminds me of ginkgo trees turning yellow. One of the pleasures to grow plants is to enjoy each season to the fullest. Of course, evergreen trees like pine trees are attractive. Bonsai can also give us the enjoyment of flowering trees like cherry blossoms and deciduous trees like maple. Although bonsai has to be taken care of through a whole year, there are various types to give a brief moment of beauty according to their own seasons. You probably feel that “It’s too much of a bother to take care of every bonsai every day only for once-a-year pleasure”. Well, you have another think coming. In spite of daily difficulties to take care, bonsai continues to fascinate people around the world. It is sure that you will get something compelling in return. Although the word of bonsai is Japanese language, its origin dates back to China. There are various theories as to when Chinese bonsai came to Japan. In the 17th century, bonsai already took root as a stylish hobby regardless of social status including commoners. Well, what is the difference between bonsai of China and that of Japan? As you see the Image 14, it is a tray landscaping literally expressing “scenery in a tray”. Plants play a supporting role there. As for bonsai like the Image 15, the expression of scenery disappeared in the piece of work. A former supporting player, a plant, seems a solo singer singing on stage. So you have a question. Does the scenery disappear or is it neglected? The answer is no. As the Image 6, the scenery of a plant exists in your imagination. You can freely imagine where this pine tree overhangs. Is it on a cliff in a mountain or hardly hit by wave splash? Bonsai Will Capture Your Hearts! As mentioned in the opening sentence, most readers must be surprised at the piece of bonsai named “Tree of God” whose price is 1 million dollars. However, please guess how many bonsai lovers have taken care of the three-hundred old bonsai tree? Come to think of it, the price of 1 million dollars is never extravagant price. If you start thinking so, you are already bewitched by the wonderful appeal of bonsai. In the explanation of bonsai’s transplanting.